The Leak Pad Sensor (Area Leak Alarm) can be placed on containment floors and pans to alert on a dry vs. wet condition. These can be placed around a tank, in electrical and computer vaults, and in pump stations. The 2852-LPS sensor monitors the capacitance field between the sensor pad and the floor. A single push button calibration at the controller locks in on the capacitance field of all sensing pads. 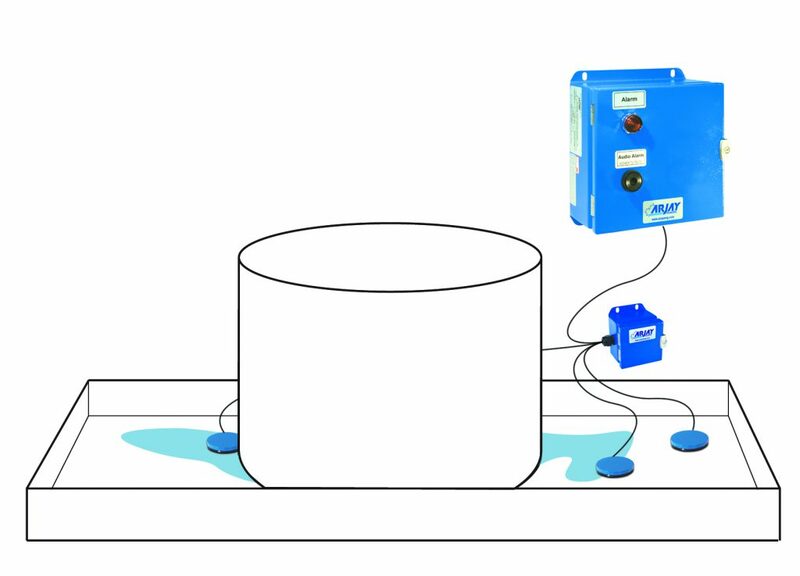 Any liquid that intrudes into the pad space will increase the capacitive field and initiate an alarm.